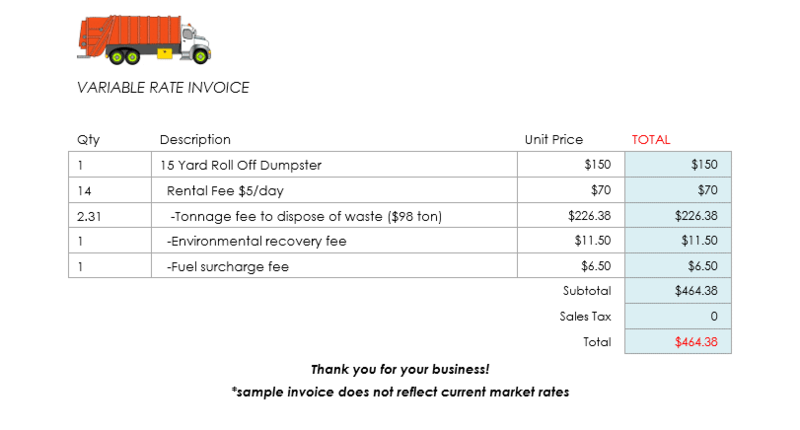 What Does It Cost to Rent a Roll Off Dumpster? Our dumpster rental prices vary with the capacity of the roll off dumpster. Each of our roll off dumpsters can hold a certain capacity (yards) of debris and has a set weight limit. When choosing your size, you should consider both how much volume (space) you will need for your materials as well as how much your materials may weigh. Check out our Roll Off section to learn more about what roll off dumpsters and containers we offer. Or, contact us today for affordable dumpster rental options direct from a family owned company. Need a Cheap Dumpster Rental for Your next Project? 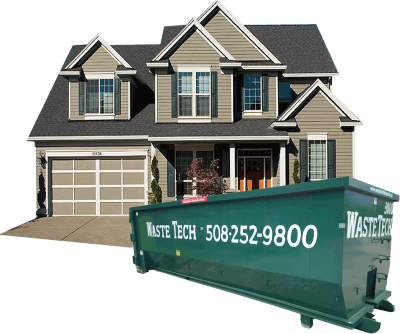 Waste Tech offers the cheapest roll off dumpsters and containers in the industry. Waste Tech provides the best rental terms at the lowest cost to our happy customers. Our simple flat-rate pricing includes delivery, pickup and all fees including waste disposal – allowing you to find an affordable dumpster rental quickly. What’s the Difference Between Flat-Rate Dumpster Rental Prices vs. Variable-Rate? Our flat-rate pricing includes all delivery, pickup and taxes associated with the rental. It also allows for all of the fees incorporated into one low cost. This means you can often dispose of a greater weight of debris than you could in a roll off dumpster with a variable rate, without paying extra. So you are not worried on what you can put into the roll off dumpster. Variable-rate dumpster rental pricing isn’t necessarily more expensive, but it can be harder to predict what your final cost will be, which can throw a wrench into planning and budgeting for your project. Some companies implement this but we feel this way is cumbersome for the consumer. With our flat-rate dumpster rental prices, you’ll be able to have a piece of mind and set the budget for your project. 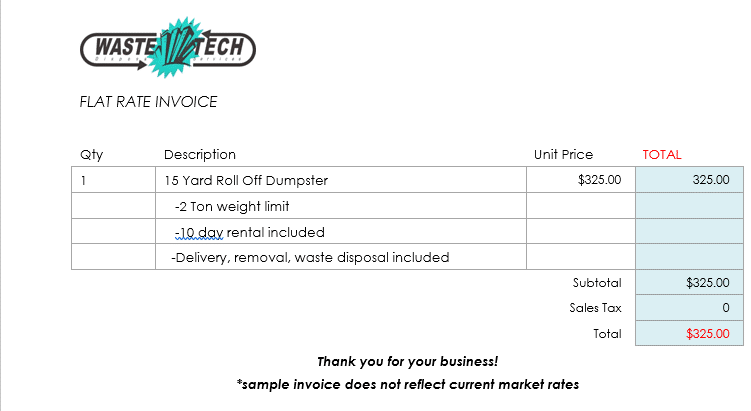 If you want to know the full cost of your dumpster rental up front, Call Waste Tech at 1-888-927-8383. Know Exactly How Much Your Dumpster Rental Will Cost with No Hidden Fees! Heavy debris such as concrete, roofing shingles and yard debris may require a dumpster specifically intended for heavy items. For example, roll off dumpsters and containers used for materials like concrete and roofing shingles have weight limit considerations and there are unique dumping requirements that will keep the dumpster within those weight restrictions. Contact us today and our customer service team will fully explain the costs and terms for whatever type of dumpster is right for your job.